EasyJet hopes to do everything it can to prevent last year's ash cloud disaster from reoccurring. The low-cost carrier is looking at installing ash detection systems on its planes. The airline said earlier that it planned to have the detection system known as Avoid, (Airborne Volcanic Object Identifier and Detector) installed on 12 of its planes by 2010. Although there has been some progress, the technology has not yet been installed on any passenger aircraft. With the Easter break coming up, travellers planning summer getaways should ensure they have a comprehensive travel insurance policy. The Avoid system comprises infra-red technology that when fitted to aircraft, provides images to pilots and flight control centres. The images help pilots detect an ash cloud, up to 60 miles ahead of the plane and at altitudes of between 5,000ft and 50,000ft, allowing them to change course and avoid the cloud. EasyJet was one of the many airlines hit in April last year following the Icelandic ash cloud crisis which saw airports shut and thousands of flights cancelled. The budget airline is investing £1 million in Avoid, which is the brainchild of scientist Fred Pata, of the Norwegian Institute for Air Research. 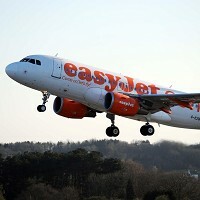 EasyJet said the Avoid prototype is ready for testing but needs approval from the European Aviation Safety Agency is also hoping for financial support by the European Commission. EasyJet is working on both these objectives.